Lucky I live Hawaii, eh brah! 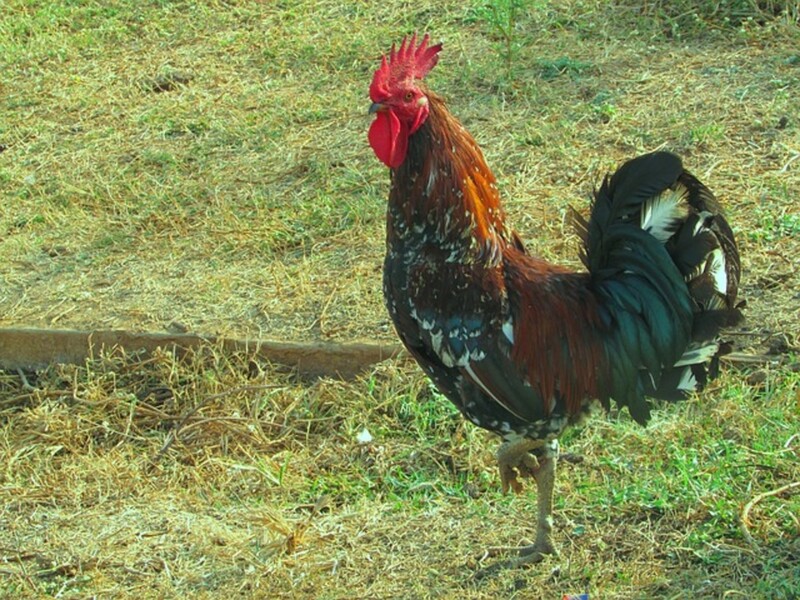 That means I am lucky to live in Hawaii, brother - only in pidgin. 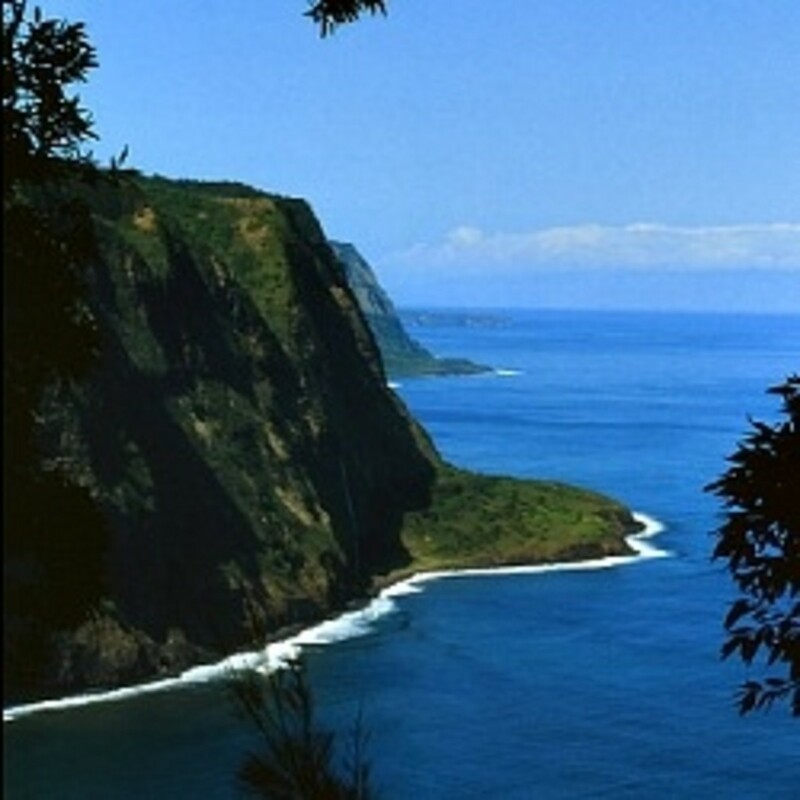 Hawaii has more than 200 inches of rainfall in the mountains and 130 inches of rainfall at the coast per year. That's a bunch of rain! One of my favorite sights here in Hawaii is after a heavy rainstorm. 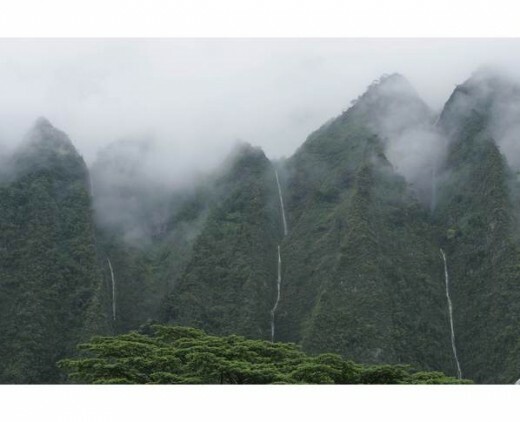 Because of the nature of the Ko'olau Mountains near where I live, you can see many waterfalls as the water tries to find its way down to the rivers and ocean. The closest waterfall to where I live is called Sacred Falls . My own children used to hike up to see them occasionally. The falls were closed when there was a fatal rock fall in 1999 which killed eight hikers on a beautiful Sunday. Now the only way to see it is by helicopter ride. I now know how lucky my kids were to not get killed when they were up there looking at the Sacred Falls. Superstition have it that God was not so happy that the hikers were not in church that day. 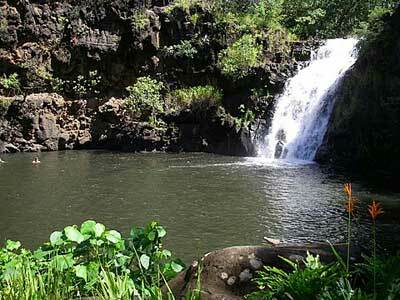 The next closest falls to where I live is Waimea Falls. I hiked up there with my father on one of his visits to Hawaii. It was not a difficult hike and well worth the effort. Waimea is a world-class botanical and biological research and propagation facility. There are incredible trees and plants on the way up to the falls, many of which are found nowhere else. 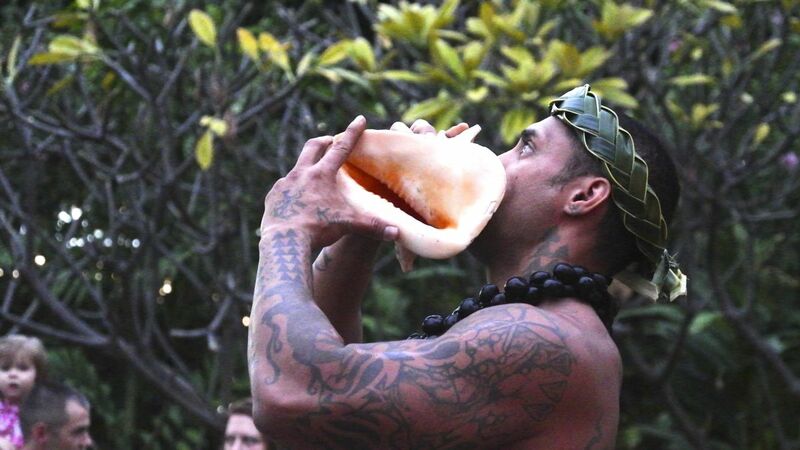 Here is a link to more information about Waimea. Of course, there are many more falls that are more popular to the tourists than those that are nearby our little community. One of the more famous is Akaka Falls : It even has a song written about it. You can find the words to the song "Akaka Falls" and the translation here. There is actually a legend about Akaka Falls. 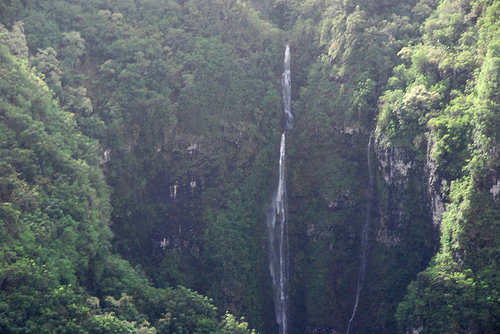 It is said that Akaka fell to his death from the 442 foot falls. His two lovers, Lehua and Maile, could not stop crying and now they can be seen in a ravine close by, disguised as two smaller waterfalls. 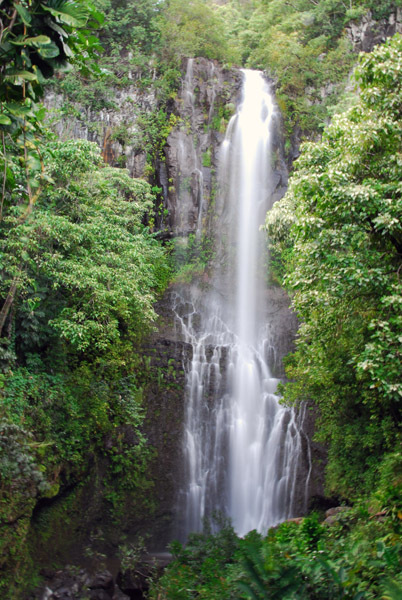 On the Island of Maui, you can visit many falls, but one of the most gorgeous falls is called the Wailua Falls. The water cascades 80 feet to the Honolewa Stream. Believe it or not, there are more Wailua Falls, but these are on the island of Kauai. The difference is that these falls drop in double tiers - yes, you will be seeing double. When the sun is shining just right, you can also catch sight of a rainbow. If you have always wanted to swim underneath a waterfall, this is your chance. I would love to write about all the great waterfalls in Hawaii, but here is a link that will give you more information about them. Thanks LianaK. I am glad you enjoyed the waterfall hub. Waiting for your return to Hawaii. Miss seeing those beautiful waterfalls on my drive from the north shore to Honolulu! Among one of my favorite memories of the scenery in Hawaii. Thanks for the wonderful hub! Come on over, Judowolf. I would love to go to Florida, but have never had the opportunity yet. Aloha! I reside in Florida and am an avid swimmer. The waterfalls in your state are beyond words. I know it is hard for you to live there but someone has to. People say the same thing to me during the winter, but I guess we will have to put up with it. I wish i could swim under the falls. Great hub. So glad you enjoyed it Sunshine625. You have a sunny disposition to match your HP name! Aloha! It must a beautiful country. Glad you enjoyed them KoffeeKlatch Gals. I do hope you will be able to come and see the waterfalls of Hawaii soon. Beautiful waterfalls. I hope someday to get to see them in person. 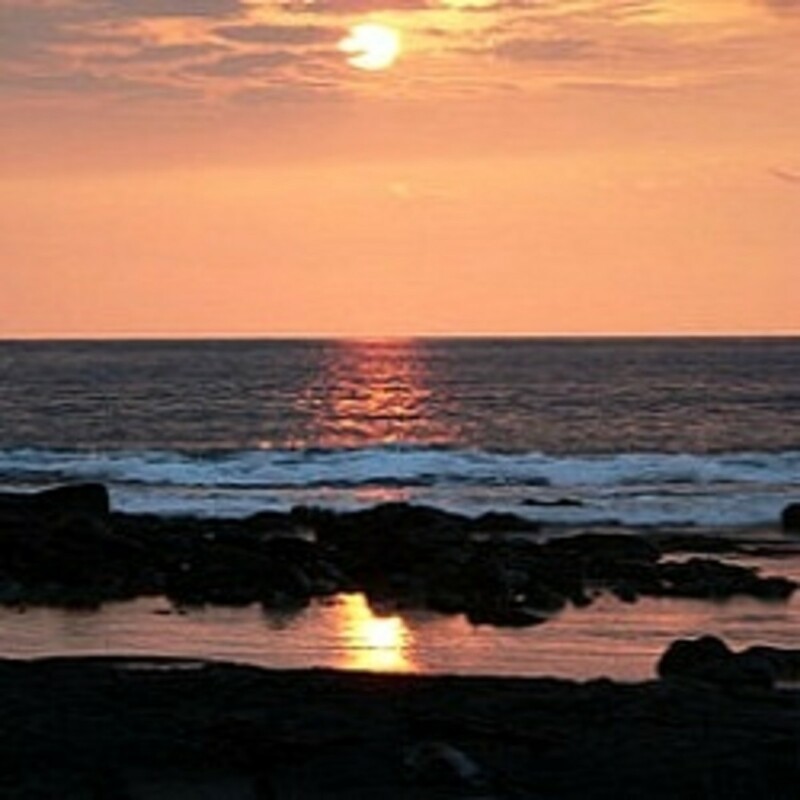 Thanks sergs_pogi - I also hope you get a chance to visit Hawaii. Aloha! Wow. Very nice indeed! I wish I could be in that place even once in my life. Good to know, elayne. Will watch for them. I have actually seen them as I often travel from the North Shore to Honolulu on the H3. That is where they are most noticeable. Thanks PWalker281. After 4 years of living here, I have yet to see the water falls on the Ko'olaus after a rain storm. Hopefully during the next rainy season. Great hub, great videos! Rated up! Yes CheetahsLady - we have plenty of rain - that is why it is so green here - there are all-year-round waterfalls and then those that appear only when it rains heavily. Thanks for your vote of confidence. Believe it or not, I had no idea that most of the waterfalls in Hawaii were because of the rain. Great read and the videos were an added bonus. Thanks, Voted Up. Thank you Eiddwen. I appreciate that very much. @D.A.L. So glad that you enjoyed it and hope you can come and see it for yourself some day. Aloha. great hub with beautiful pictures. Mahalo nui loa (thank you very much) Twilight Lawns. Yes, if it weren't for the bugs and the high humidity, one might mistake it for the real Paradise. Glad you enjoyed it FishAreFriends, and I do hope you realize your dream of seeing Akaka Falls. Such Amazing pictures, and a great informative hub. I'm going to make sure next time I visit Hawii I see Akaka falls if I can. Lovely hub Elayne. You live in a place pretty close to one's idea of Paradise. Thank you drbj. Glad you enjoyed reading about the beautiful waterfalls here in Hawaii. I appreciate your comments. I feel lucky to have such beauty surrounding me each day. Thanks for the vote of affirmation. Elayne, You do live in paradise. The pictures and videos are gorgeous. Voted up! 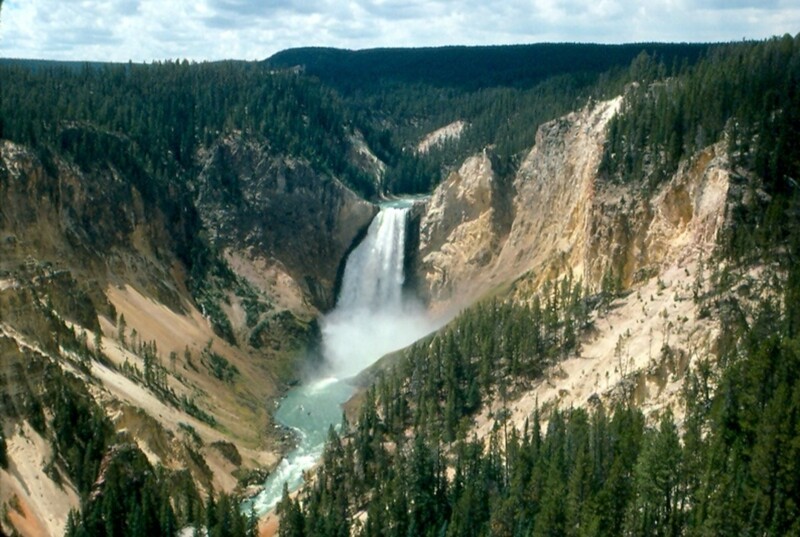 What a nice way to start a Sunday morning, Ruth, viewing these spectacular waterfalls. You do live in Paradise. Thank you for this treat. Hope you will some day be able to swim under the waterfalls here in Hawaii, VioletSun. Thank you for your comments. Sigh, Hawaii looks so beatiful from my side of the fence. I can just imagine myself swimming under the waterfalls. Enjoyed reading and watching the Yotubes.